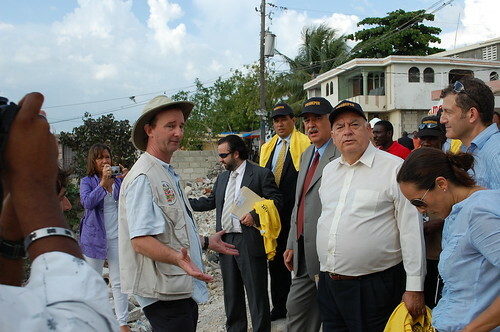 My workload changed dramatically on January 12th when I stepped in to take over the earthquake response in Haiti. Although I have always felt that I was productive—I set goals based on the The 7 Habits of Highly Effective People and I managed my workflow through the Getting Things Done: The Art of Stress-Free Productivity system. Yet pre-earthquake, my work load was manageable. Those days seem like a lazy vacation in comparison to my situation today. My biggest challenge when swamped with work is to find the path forward. It is easier to respond to the tasks in front of me than to work on longer term goals. I could easily spend my days responding to emails and phone calls and putting fires out—I suspect that some of the people that have given me tasks that sit in my “@action” folder would rather I did just that. However, I know that my days spent responding to urgent requests brings me no closer to my own goals and just leaves me one day older.